A dental extraction can be a nerve-wracking time. If you’ve never had a tooth extracted before, you may be wondering about how it works. Dr. Sonny Kim will answer all your questions in a relaxed environment, and help you to prepare for post-surgical recovery. Part of good home care after dental extraction involves taking it easy on the extraction site. Try to avoid using straws and eating spicy foods or foods high in citrus content. It’s also a good idea to limit physical activity, since it can raise blood pressure and stress the site. It may be necessary to apply some firm pressure to the area for several hours after the extraction. Ice packs can help to reduce any swelling. Keep the head elevated to avoid excessive blood flow to the site. Dr. Kim may recommend rinsing with warm salt water for several days after the surgery. Some swelling after dental extraction is to be expected. The site may also bleed or “ooze.” Generally, patients will have numbness for a while as the anesthesia wears off. The sutures that are placed in the mouth will ultimately dissolve in several days. In the first few days after the procedure, it’s normal to have some pain and discomfort. However, patients who feel like recovery is not proceeding steadily can seek medical follow-up to make sure that the site is healing correctly. Basically, after a dental extraction, patients will want to limit extremely hot or cold foods, as well as spicy foods or stringent foods such as those mentioned above that might be sour with lemon or other strongly flavored ingredients. For extra comfort, stick to relatively soft foods and avoid sticky or gooey foods that can get stuck close to the site. Dr. Kim and other qualified medical professionals will also recommend not smoking directly after one of these procedures. For a tooth extraction, doctors may prescribe antibiotics or pain medications. Take these exactly as prescribed, and ask a doctor if you experience any side effects that may be signs of a drug interaction or allergy. Every patient is different, and Dr. Kim will consult with you prior to your tooth extraction about any questions or concerns you may have. 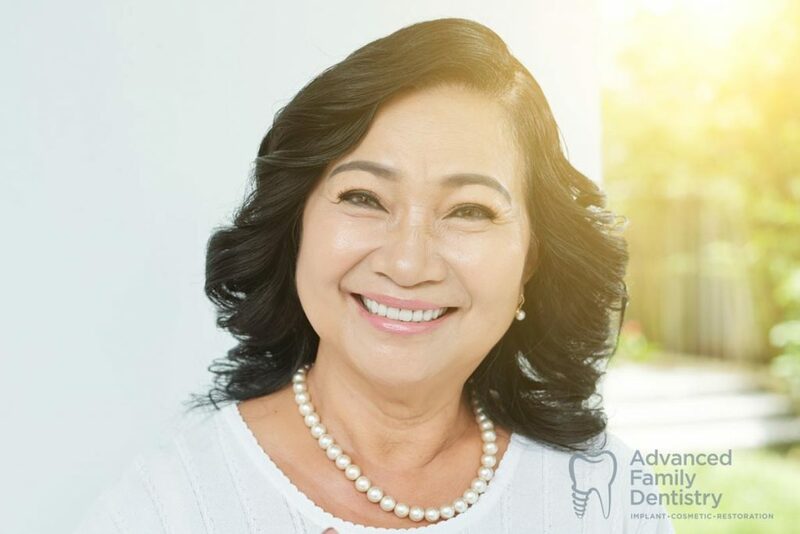 Advanced Family Dentistry will create a customized recovery plan for you based on your health history, existing medications and other factors. With Dr. Kim’s office, you can go into one of these procedures with confidence, knowing that you’re in good hands.